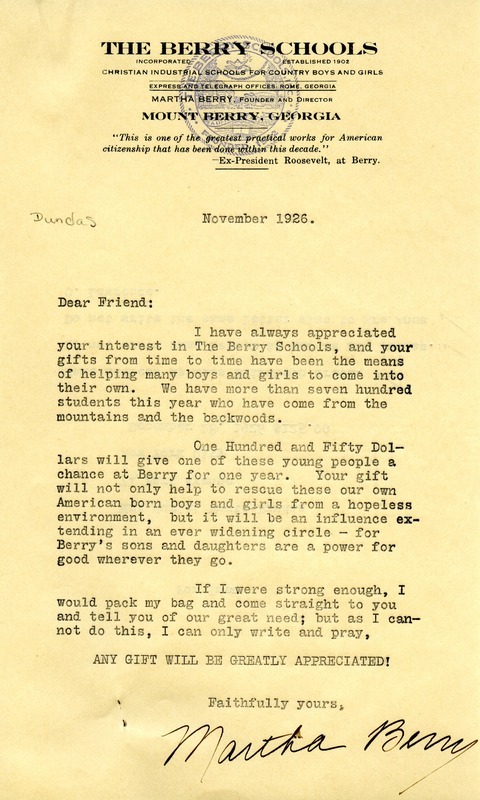 The first letter is a generic letter written by Miss Berry to her donors. The later is a response and check from Mrs. Wurst-Dundas, which enclosed a check. Martha then made a note for Inez including addresses for more donors. 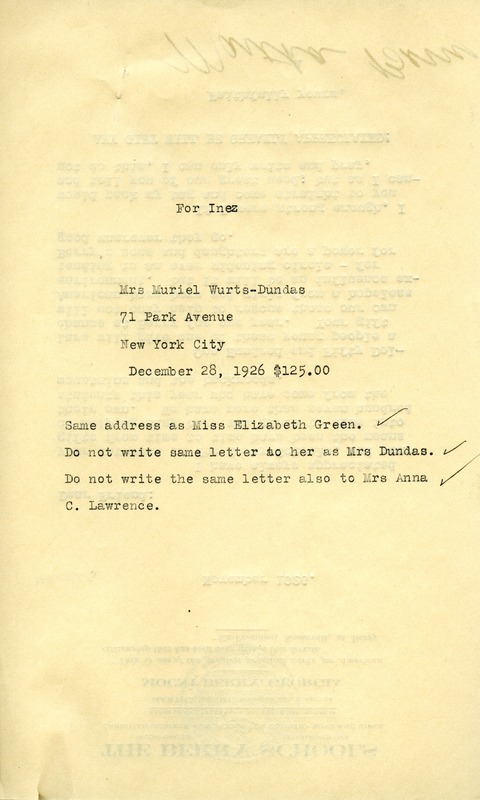 Miss Martha Berry, “Letters between Mrs. Wurst-Dundas and Martha Berry.” Martha Berry Digital Archive. Eds. Schlitz, Stephanie A., Amanda Guidi, et al. Mount Berry: Berry College, 2012. accessed April 21, 2019, https://mbda.berry.edu/items/show/1807.